Whether you are creating or importing them, you will need to ensure the XML logic is correct by validating the data. 1 EDI Source can help! Currently, Microsoft offers XML validation tools for Internet Explorer, enabling users to open XML documents in Internet Explorer and validate the data against an embedded schema. This tool is useful when you are trying to debug formatting problems in Internet Explorer. If you are not using Internet Explorer or are looking for an easier solution, 1 EDI Source uses our own XML validation tools and takes the entire burden off of you. Simply contact your EDI Consultant and we will provide quick and accurate XML validation. 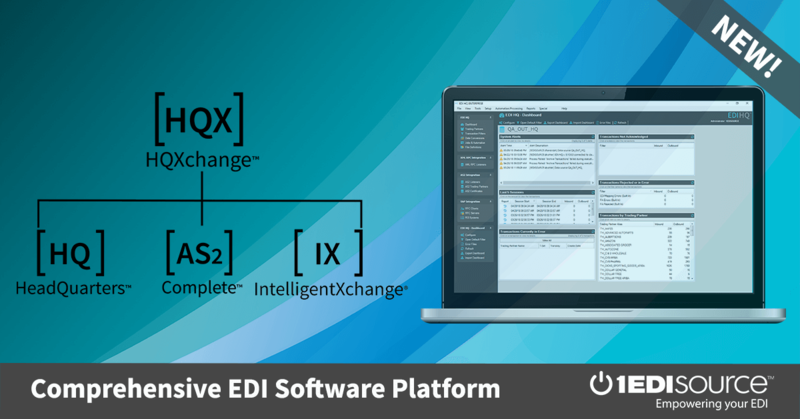 Additionally, 1 EDI Source can take any type of data (EDI, flat file, delimited, etc) and convert it to XML. While other means of XML validation exist, 1 EDI Source provides an easy one-step process for all of your XML needs.